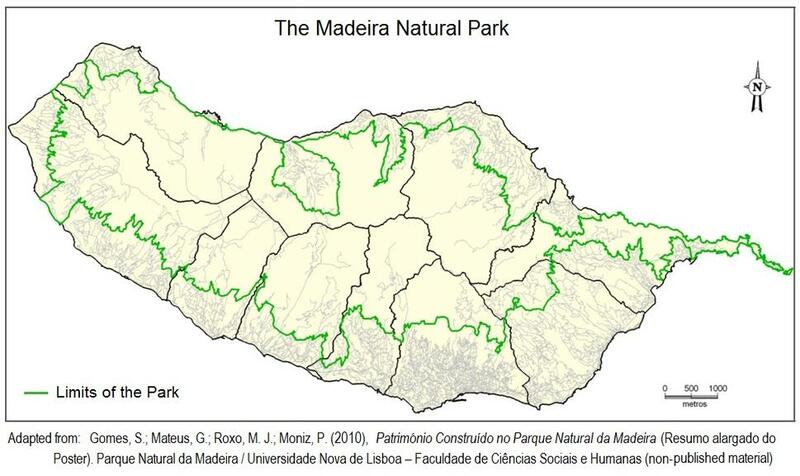 The Madeira Natural Park (PNM) was created in 1982 and occupies around 70% of the island. Several policy tools for nature protection and conservation have been applied to the PNM by the island’s regional government, including the designation of protected landscape areas “where typical aspects of habits and cultures remain and where the traditional activities are expected to be continued". More recently, EAFRD support has been used to promote the conservation of architectural heritage in the PNM. The main objective of this project is to use GIS and geo-referencing (with GPS) to help preserve the architectural heritage of the PNM by promoting the re-discovery of values, practices and cultural traditions associated with the traditional construction techniques and rural history of the island. Project costs are co-financed by EAFRD measure 323 - conservation and upgrading of rural heritage. The project undertook a detailed survey of the built heritage of the PNM by using orthophoto-maps and GPS to georeference the thousands of traditional landscape elements built by islanders, including churches and chapels, traditional houses, walls, mill streams, watermills, community wells, fountains, barns, pathways, old industrial facilities, bridges etc. All of these elements have been recording in GIS format (using Geomedia software) for use in future studies and landscape planning. Researching the built heritage of the PNM has highlighted the usefulness of GIS and georeferencing to collect widespread territorial information in a challenging landscape (i.e. rugged inland mountain terrain of Madeira).